Dubai-based Emirates airline has emerged as the most popular and positive brand in the UAE for the second year running even as Global Village, Dubai’s original theme park, is among those that has seen the most improvement this year. According to the 2016 Mid-Year BestBrand Rankings, published today by market research firm YouGov, the high-flying Emirates has continued to create the highest brand Buzz scores among the more than 400 brands in the UAE this year since knocking Samsung off the top spot last year. The airline was just last week named as the best airline in the world for 2016 at the Skytrax World Airline Awards 2016, in addition to scooping up the awards for World’s Best Inflight Entertainment for a record 12th consecutive year, and Best Airline in the Middle East. Last year, a $20 million marketing campaign featuring Jennifer Aniston paired with a superb world-class service ethos made the Dubai-based Emirates airline jump to the top of the Annual BrandIndex Buzz Rankings. The 2016 Mid-Year BestBrand Rankings, which launched across 26 countries globally, including the UAE, Saudi Arabia and Egypt, are compiled using the Buzz score from YouGov’s daily flagship brand tracker – BrandIndex. Buzz asks residents daily if they have ‘heard anything positive or negative about a brand in the last two weeks through advertising, news or word-of-mouth’. In this edition of the rankings, Emirates also makes a comeback into the Saudi Arabia Mid-Year Rankings in ninth place. 2016 has seen the brand launch a refreshed ‘Hello Tomorrow’ global advertising campaign embracing film, digital, print and outdoor assets to further showcase its in-flight experience to the masses. Emirates remains the buzziest brand in the UAE. The airline caused a stir celebrating its football partnerships with six clubs and seven football themed aircraft take-offs in one day. 2016 also saw the popular airline launch a brand new global advertising campaign aimed at showcasing its inflight experience to consumers. The past six months saw the airline continue a high profile sponsorship strategy including elevating its sponsorship of the ATP World Tour to premier status. WhatsApp has retained its No. 2 popularity slot among UAE residents. The mobile messaging platform has, this year, opened up its service to brands allowing notifications to be exchanged between customers and companies. Dubai Municipality subsequently launched its very own WhatsApp number to receive images, videos or messages from concerned residents, which was promoted on Facebook. The launch of its new Galaxy S7 and S7 Edge smartphones have helped Samsung too maintain its third spot, beating arch-rival Apple, which fell one slot to No. 5 this year. However, Unlike Apple which is limited to a handful of devices, Samsung is a much diversified umbrella brand with several product lines across the white goods section besides being the world’s largest smartphone manufacturer. The most regularly used social media platform (by 82 per cent of UAE residents between March and April 2016), Facebook climbing two slots on the BrandIndex Rankings since this time last year. Apple slips one place but remains in the top half of the rankings. Last year, Apple launched its first two flagship stores in the UAE (in Dubai’s Mall of the Emirates and Abu Dhabi’s Yas Mall). This year, two new Apple stores have opened at the Dubai Duty Free (DDF) in Dubai International Airport, representing the largest-ever Apple outlets in travel retail. YouTube rises a slot since this time last year from seventh to sixth. 2016 saw Dubai One TV launch their first dubai ON demand (dONd) channel on YouTube bringing English language lifestyle content to the small screen. The video online platform also launched the first edition of The Lantern, the first award to recognise the most impactful commercials offered by the advertisers in the Mena region during the month of Ramadan. Emaar has jumped up the rankings from ninth to seventh place following a string of announcements this year, including taller-than-the-tallest The Tower at Dubai Creek, reported to be 100m taller than the Burj Khalifa. Google falls to eighth from fifth since this time last year. The search giant teamed up with local Jumeirah to launch ‘Jumeirah Inside,’ a Google street-view experience that travels through 23 Jumeirah hotels. [email protected] also reached Mena – an employee resource group comprising female Googlers committed to providing networking and professional development and a sense of community to Googler women across 27 countries. Eithad Airways drops two places but has been embracing live-action virtual reality this year as it continues to connect with consumers with the theme ‘Flying Reimagined’. The airline released a new 360-degree fully immersive short film featuring their global superstar ambassador Nicole Kidman in 2016 to provide potential customers with a ‘real experience’ of the Airbus A380. iPhone drops from eighth to tenth. Apple reported its flagship smartphone sales were responsible for its first quarterly decline in a decade. However the launch of the new iPhone SE in the UAE together with the re-launch of its global “Shot on iPhone” advertising campaign across 25 countries including the UAE could help the brand create more Buzz. As YouGov looks to the biggest Mid-Year Improver Rankings for 2016, which record the brands with the biggest increase in Buzz for the first six months of the year, leisure and entertainment favorites Global Village and Legoland are winning the biggest increase in positive share of voice in first and second place respectively. Celebrating its 20th season, Global Village is showcasing the rich culture and heritage of the GCC in its GCC pavilions this year. Meanwhile, Legoland has taken the front foot in the run up to the highly anticipated opening of Dubai Parks & Resorts in late 2016. Beginning with an ‘Annual Pass’ campaign in late February, the Legoland Dubai team have steadily raised the tone of communications, building anticipation amongst the UAE population. Representing gains in digital brand appeal are global ICT provider Huawei and new social media hot shot Snapchat in third and seventh place respectively. With a range of new routes, a first-of-its-kind Travel Festival and award for exceptional search engine marketing Qatar Airways snaps up fourth. After setting social media alight with the second most shared film in the world in 2016 it’s an Improvers first for Almarai in fifth. 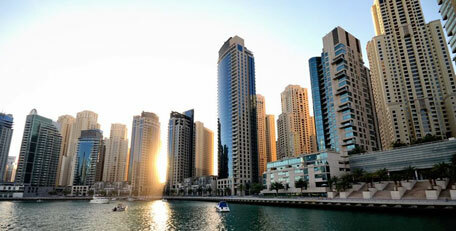 Following closely du sits in sixth whilst Dubai Properties makes gains in eighth. Rounding up the UAE’s BestBrand Improvers Rankings so far this year is the only mall in the top 10, Ibn Battuta in ninth, while household FMCG brand Persil sits in tenth. “Digital and social media are becoming increasingly prominent as marketing vehicles to generate positive appeal amongst consumers with the likes of Emirates, Almarai and Etihad Airways fully integrating these elements into major campaigns,” said Scott Booth, Head of Travel, Tourism & Leisure Research at YouGov.